Do you have a tattoo that you want to get removed? At least you’re not alone. Almost a third of people who get a tattoo regret it eventually. Luckily, tattoo removal is an option. Done correctly, it can be both safe and effective. It’s important to get your tattoo removal done by an experienced professional to get the best results. However, there are also some things you can do yourself to improve your tattoo removal healing. We’ve put together our top tips for successful tattoo removal to help you get the results you’re hoping for. Read on to learn what you need to do for tattoo removal success! First, there are some steps you’ll need to take before your tattoo removal appointment. 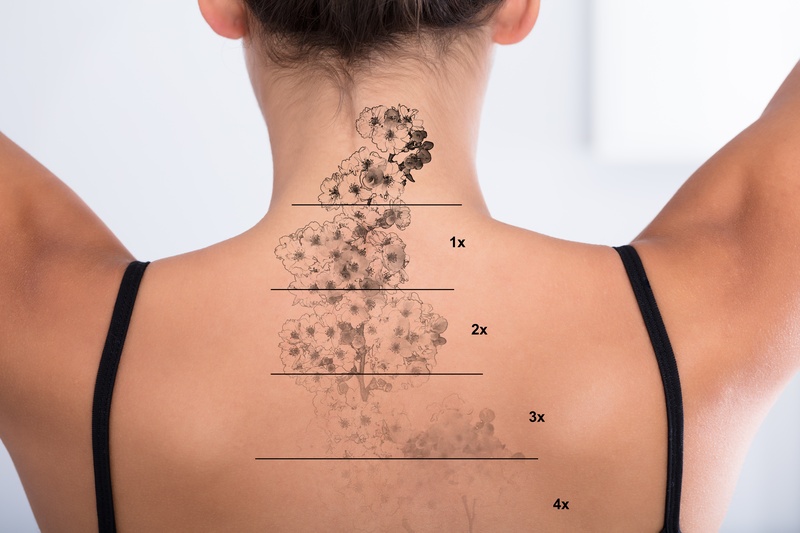 A lot of factors can affect the success of your tattoo removal. Although you can help the process work better, you’ll be happier with the results if you have some realistic expectations to begin with. For example, removal may not make your tattoo completely invisible to someone who’s looking through a magnifying glass. Tattoo removal is a process, and the results will not be instant. Keep in mind that you might need to have multiple appointments. It’s better if those appointments won’t get disrupted because you move, run out of money, or run into another obstacle. Consider your ideal outcome, and which compromises you would be happy with. This helps you feel better about the tattoo removal solution in the end. It’s a good idea to research the tattoo removal process, so you know what you’re getting into. Once, the only way to remove a tattoo was to scrape away the ink and the top layers of skin with it, leaving damaged skin behind. Today, lasers allow for a more sophisticated and effective tattoo removal technique. The pigments in your tattoo naturally break down and get absorbed by your body over time. That’s why tattoos fade over the years. Laser tattoo removal just helps this process along by breaking down the ink more quickly, so your body can dispose of it. You’ll likely have laser sessions lasting between 15 and 30 minutes, over the course of several weeks and maybe months for very difficult tattoos. There are usually several weeks scheduled in between sessions, so make sure you’re ready to commit to this long-term process. The laser may be slightly discomforting, but many people find the results are worth it. Now, it’s time to find the best clinic for the job. It’s important to place quality over price. Plenty of clinics offer tattoo removal at unbelievably low prices because they think people will pay for it. However, the top-quality treatments tend to cost more — because they’ll actually give you better results. Don’t forget to check for reviews from former customers. The best med spas can give you testimonials or will have them posted on their website. If you don’t see any, that’s a definite red flag. Now, you’ve chosen your clinic and scheduled your first session. What should you expect during the removal process? As the treatment gets underway, you might start to see discoloration on your skin. Don’t panic — this is perfectly normal. Your skin might actually get pale on the surface, rather than darker, as the laser does its job. For other people, the skin will get darker in the treated area. Sometimes, these slight changes in pigmentation will become permanent. However, they usually go away in a matter of months. Your clinic should help numb the area so the process isn’t so painful. Still, you might feel some pain or discomfort during treatment. The pain might get worse after the treatment is over, once the painkillers start to wear off. Your skin in some cases might bleed, itch, swell, or blister. Each reaction is slightly different. For some, the treatment is barely painful at all, while for others it can be more uncomfortable. Even once treatment begins, you should still ask questions or voice concerns if you feel that you need to. It’s best to try to get your questions out of the way before treatment starts. But if something doesn’t seem right, if you feel too much pain, or if you have a new question, don’t hesitate to speak up. Aftercare is one of the most important parts of tattoo removal. Here’s how to ensure you’ll get the best possible results. Don’t exercise for a day or two after you’ve been treated. If you exercise, your blood flow goes up, which means the treated area might get more irritated. Make sure the treated area won’t get exposed to any more trauma. Avoid clothing that will cause friction on your skin where your tattoo was. Keep it out of the sun, and use powerful sunscreen if you can’t keep the area covered. Stay out of the water until the area is completely healed: no hot tubs, baths, or swimming pools. Make sure to keep the area clean, and leave the bandage on for as long as recommended. At our med spa, you can ask what kind of cream you should apply to the area to help it heal. Make sure to follow recommendations carefully. You might need to use antibacterial cream or hydrocortisone cream, for example. Ready to Take Tattoo Removal Healing into Your Own Hands? It’s never too late to get started with tattoo removal healing! Follow these steps, and you’ll get the best results possible. Getting your skin back to the way you want it is a huge step. You’ll need a great clinic to make it possible. Ready for a consultation? Contact us now to book your first appointment!